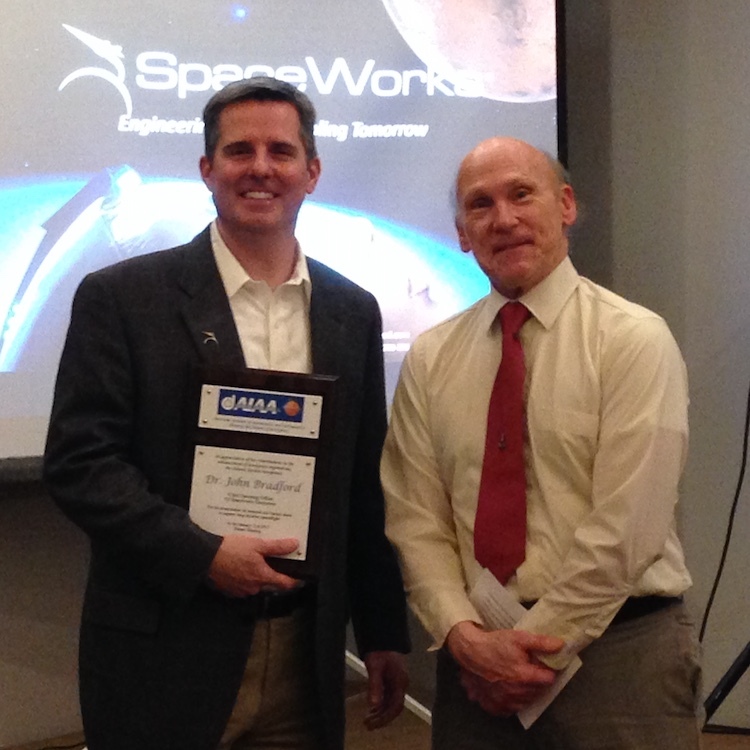 Thank you to our January dinner meeting speaker Dr. John Bradford from SpaceWorks. Dr. Bradford spoke on the topic of putting humans in a torpor state for long-duration spaceflight. This is a popular element in science fiction stories. Dr. Bradford spoke about the state of the art, including cooling the bodies of trauma victims in order to gain more time to treat injuries. “Sleeping” on long space flights can drastically reduce the weight of supplies needed for a long flight. Not only would astronauts need fewer supplies of food and water, but the pressurized living space could be smaller, resulting in a smaller spacecraft overall. Our understanding of how some mammals can hibernate but others cannot is incomplete. Understanding how low-metabolism states work has applications here on Earth as well as in deep space. AIAA is a non-profit organization whose primary purpose is to advance the arts, sciences, and technology of aeronautics and astronautics and to foster and promote the professionalism of those engaged in these pursuits. Over 700 professional, educator, and student members make up the Atlanta section, making it one of the largest in the nation.